Cookies are simple text files that a website places on your computer or mobile device. These text files store anonymous information about your visit such as a unique identifier that in turn helps a website recognize you each time you come back. Only the website server that placed the cookie can retrieve or read the contents of that cookie. Information in cookies we use is encrypted and anonymous. In some cases, the information provided by cookies helps us optimize the website for better user experience. In other cases, the cookies directly provide customized experience on the website. For instance, cookies help us understand the path you take when browsing through the website and also to remember what you lastly placed in your shopping cart. The tables below summarize the cookies our website may place on your computer or device when you visit CopyTrans.net. 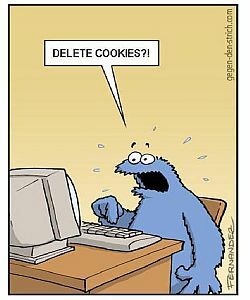 How can I disable or delete cookies from my PC? Deleting cookies will affect your experience on most websites you’ve already visited. For example, if you delete all cookies and you previously logged in to Facebook or Twitter, your account sessions will be closed and you’d need to log in again. Please note that we can’t be responsible for the cookies used on any third party website that is linked or referenced from CopyTrans.net.